This weekend Ethan and Aiden will get to do something that every little boy dreams of...they will get to climb into real life firetrucks, police cars, ambulances, limousines and more! 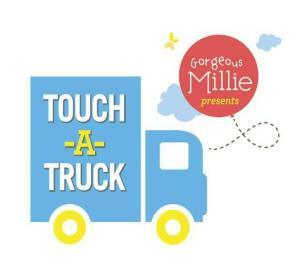 They are so excited to go to the 2nd Annual Touch-A-Truck event presented by Gorgeous Millie and, quite frankly, so am I! The event benefits the Austin Children's Shelter and will take place at Valley View Elementary School this Saturday, November 3rd from 10am-3pm. Tickets are just $4 in advance and can be purchased online by visiting the Touch-A-Truck website, or at the door for $5.